We've never met two people who give us off some of the most chill vibes to put you at ease. That's who Taylor and Dakota are....laid-back, reserved, even-keeled. In every conversation, my brother and I were just at ease as they have a calming presence that engulfs you. Don't get me wrong though, don't confuse their chillness for passiveness. They are driving the workforce with two highly sought careers. Dakota is a a software developer and Taylor is a talented graphic designer and artists. Additionally, they are passionate for their furry mates, Taverty the Frenchie and Atlas, their Mastiff-Pitbull mix. 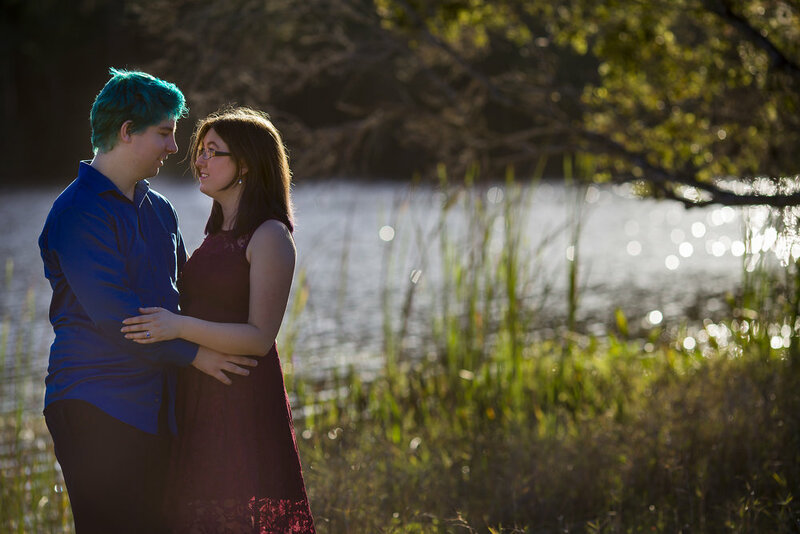 Below are some of their images from our engagement session around Tree Tops Park.